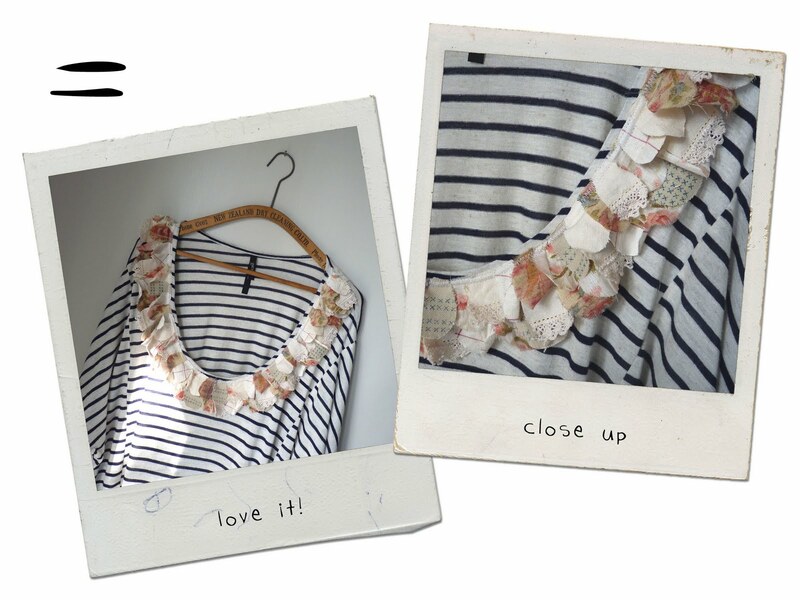 It's very rarely that I make something for myself but after seeing a super cute picture of a DIY upcycled t-shirt on Pinterest I thought I would give it a go. The clincher was that it looked super easy and wouldn't take too much time. So I tracked down the original post and found that there was a tutorial - even better! I am all for up-cycling - as you know! and it feels so good on my conscience and my wallet to be able to refresh an old tee into something I will wear again and feel like I've expanded my wardrobe a bit too. Check out the original tutorial by Disney at rufflesandstuff - thanks so much for the cool idea!